NASA-NOAA's Suomi NPP satellite captured night-time look at Hurricane Irma as it weakened to a large tropical storm and the GOES East satellite provided a daytime view as the large storm continued moving north over Florida. Irma made landfall twice on Sept. 10, first in the Florida Keys and then near Naples. The storm has now been downgraded to a tropical storm but could still cause significant impacts over Georgia and Alabama. NASA's Marshall Space Flight Center in Huntsville, Alabama was under a Tropical Storm Watch on Sept. 11. 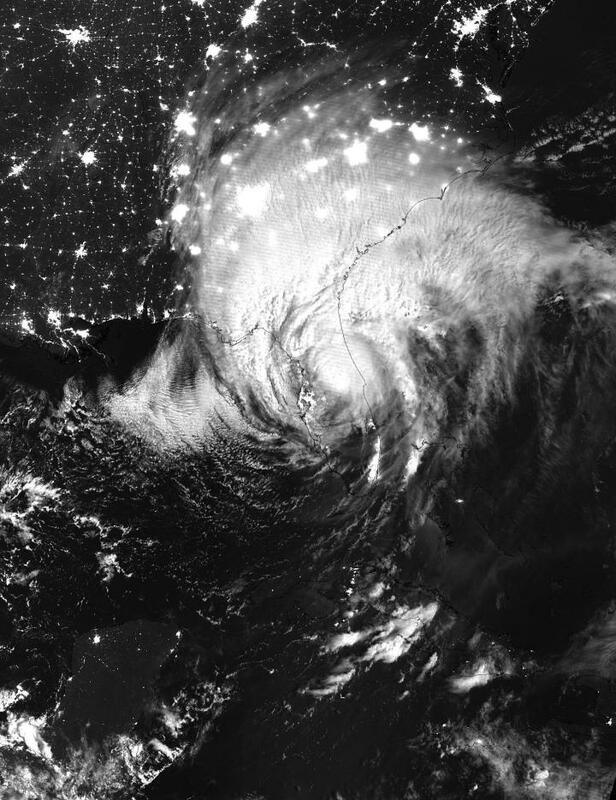 At 3:21 a.m. EDT (0721 UTC), Sept. 11, the Visible Infrared Imaging Radiometer Suite (VIIRS) instrument aboard NASA-NOAA's Suomi NPP satellite provided an night-time infrared image of Irma. The VIIRS image showed the large extent of Irma over Florida, Georgia, Alabama and the Carolinas. After sunrise, NOAA's GOES East satellite provided a daytime look at Tropical Storm Irma as it continued to move north up the Florida Peninsula. The large storm covered a large area in the southeastern U.S. The image was created by the NASA/NOAA GOES Project at NASA's Goddard Space Flight Center in Greenbelt, Maryland. Irma remains a large tropical cyclone. The National Hurricane Center said "Tropical-storm-force winds extend outward up to 415 miles (665 km) from the center." That makes the storm more than 830 miles in diameter since the cloud cover extends farther out than the tropical storm-force winds. At 11 a.m. EDT on Sept. 11, the National Hurricane Center noted that a Storm Surge Warning is in effect for South Santee River southward to the Flagler/Volusia County line, Florida; from north of Bonita Beach to the Ochlockonee River and for Tampa Bay. A Tropical Storm Warning is in effect for Anclote River to the Okaloosa/Walton County Line and north of the Volusia/Brevard County line to the South Santee River. At 11 a.m. EDT (1500 UTC), the center of Tropical Storm Irma was located near 30.3 degrees north latitude and 83.1 degrees west longitude. That's about 70 miles (115 km) east of Tallahassee, Florida. Irma was moving toward the north-northwest near 17 mph (28 kph), and this motion is expected to continue through Tuesday. On the forecast track, the center of Irma will move into southwestern Georgia later today, and move into eastern Alabama Tuesday morning, Sept. 12. The estimated minimum central pressure is 975 millibars. Maximum sustained winds have decreased to near 65 mph (100 kph) with higher gusts. The NHC said continued slow weakening is forecast, and Irma is likely to become a tropical depression on Tuesday.